40-liter volume provides ideal storage for trips lasting 2 days or more. Sure wish the Small or Medium bag was in. These are the perfect gifts for boaters, but RTIC never has them in stock. I bought the soft cooler and love it! It's so rugged and works fantastically!! I was so amazed I bought the cooler backpack, and that's for another review! 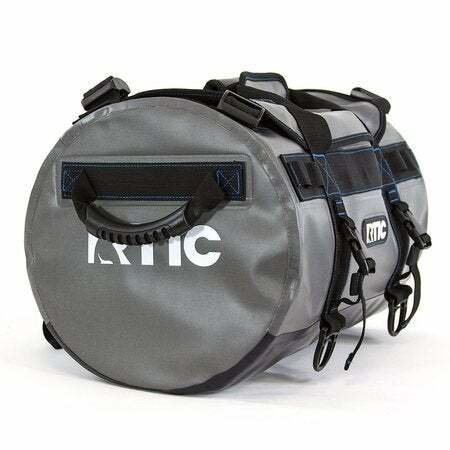 I was so happy with my Rtic products I knew the duffle bag would only be more then I could imagine! I is amazing it's simple and to the point. It has a ID sleeve to show who's it is easy. It has a pocket inside for little things, clear so you can see inside. Then it comes with an antachment for a serious backpack! More then you could ask for the price. Over built Not over priced!!! I love Rtic!!!!! Disappointed that it was a normal zipper with only a water proof flap. It was not a water restaurant zipper. I adore this bag. It's exactly what I was looking for. It's the perfect size to take as a carry-on. I love the versatility of the removable backpack straps. It's durable and waterproof. It really is a take-anywhere bag. 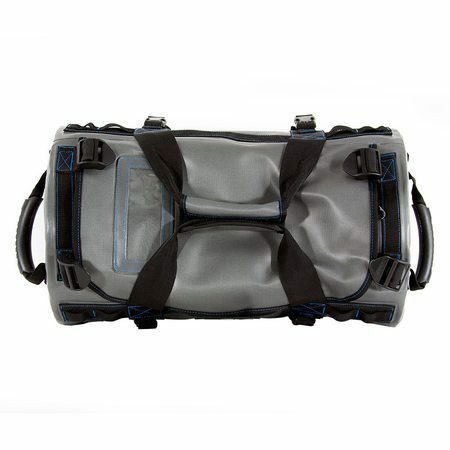 Love this duffle bag! I recently went on a trip took this duffle as a carrie on the plane. It fit perfectly in the above storage compartment. 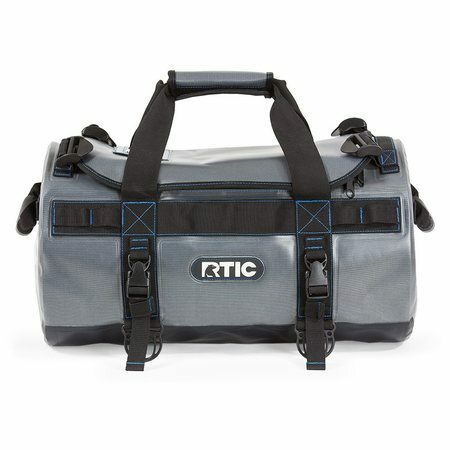 I ordered the small and the medium duffel bags and love them! Very well made and so far they are water resistant. Mine have gotten rained on and kept the contents dry. I use them for work so we will see how well they hold up over time but so far I am impressed! We waited for about 2 months for this cooler to arrive and could not wait to use it. 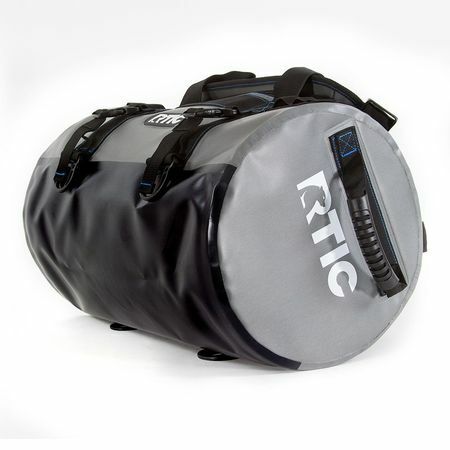 We have 7 RTIC products prior to this purchase so we were totally disappointed the very first time we used it. The cooler sweats terribly all over, top, bottom & sides leaving waster everywhere. The cooler is well built but difficult to get into due to the zippers tucked up under the flap of the lid but that was easy to enough to deal with. We put 24 Cold Cans in the cooler with 2-10lb bags of ice and it was kept in a climate controlled setting and the ice did not last 3 hours and it was all melted. Just know these things before you buy one. Not sure what this could be used for now as it was planned for our motorcycle to keep water and sodas in for all day rides. That will never happen now. Sad, as we were excited to have another RTIC product to add to our group...Big Let Down.